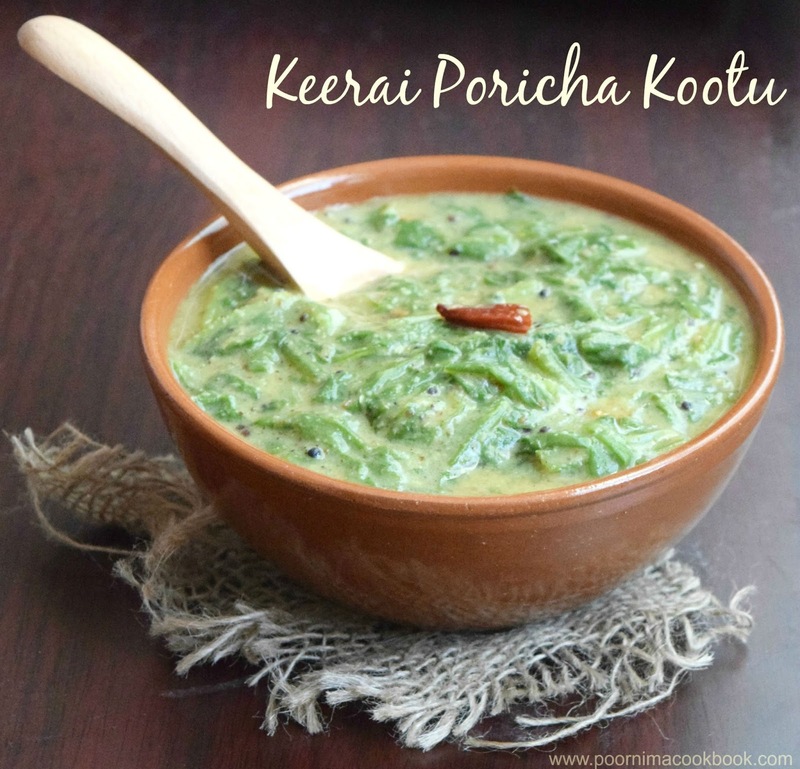 Spinach / Keerai Kootu is a delicious and easy to make veg accompaniment; popular among Tamilnadu cuisine! 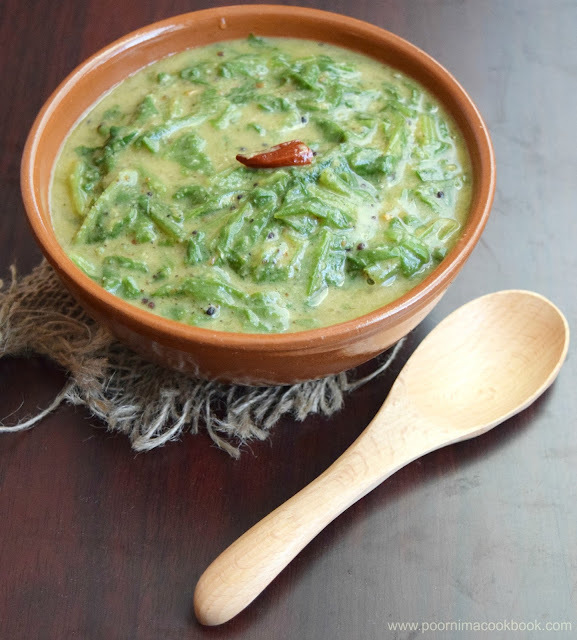 Moong dhal and spinach makes a healthy combination; which is easily digestible and suitable for all ages. 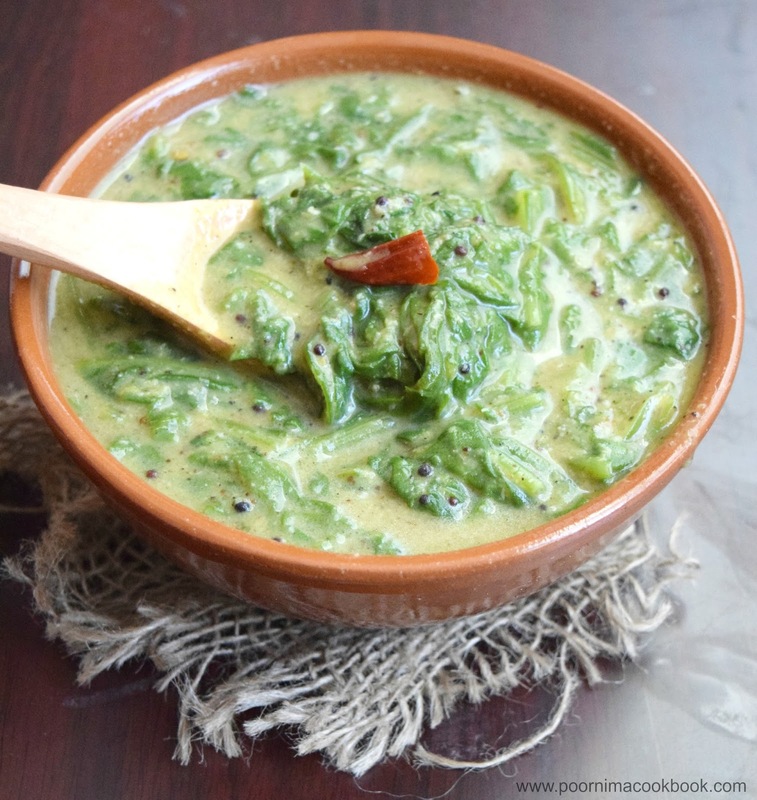 This is one among many varieties of kootu that mom used to prepare with different combination of vegetables and dhals / lentils. 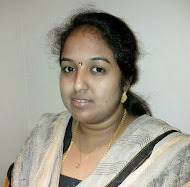 We usually like to have it with vatha kulambu / kara kulambu, rasam and sometimes with chapathi too! Check my Chow Chow kootu / Chayote Kootu with Channa Dhal also. Heat a pan, add urad dhal, red chillies, pepper and cumin seeds. Dry roast it until it turns golden brown in colour. Allow it to cool. 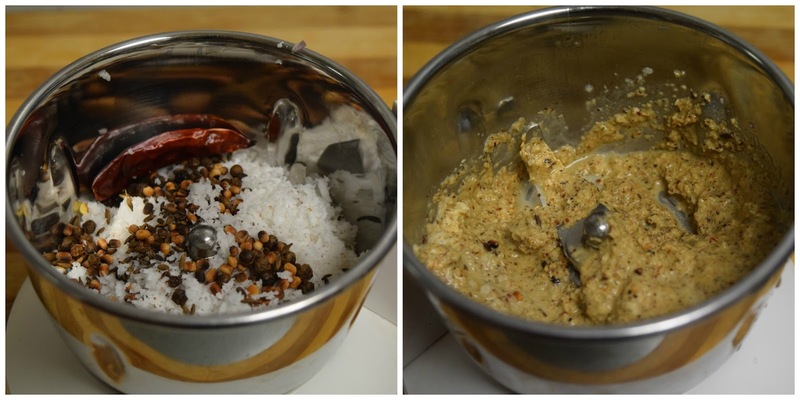 Add coconut and the roasted urad dhal mixture in mixer; grind it into fine paste by adding water. Wash moong dhal and pressure cook adding water along with turmeric powder and cook till it becomes soft. Take a pan, add chopped spinach, salt and cooked dhal. 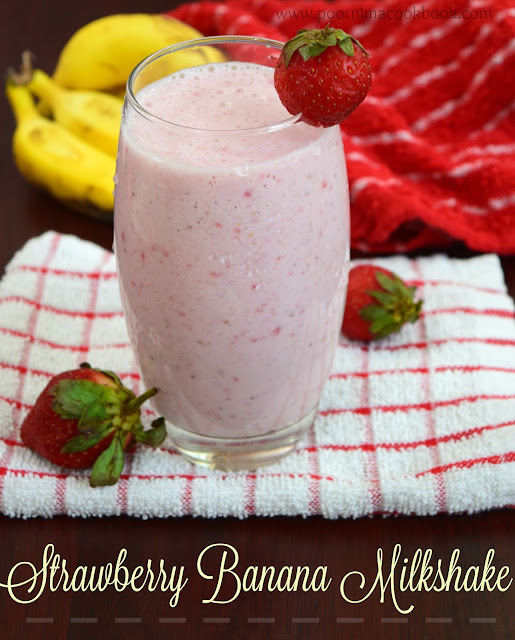 Give it a mix and allow to cook. Once the spinach is cooked, add the ground paste. Give it a mix and allow to cook for 5 minutes in medium flame. Once it splutters, pour over the spinach dhal mixture and mix well. 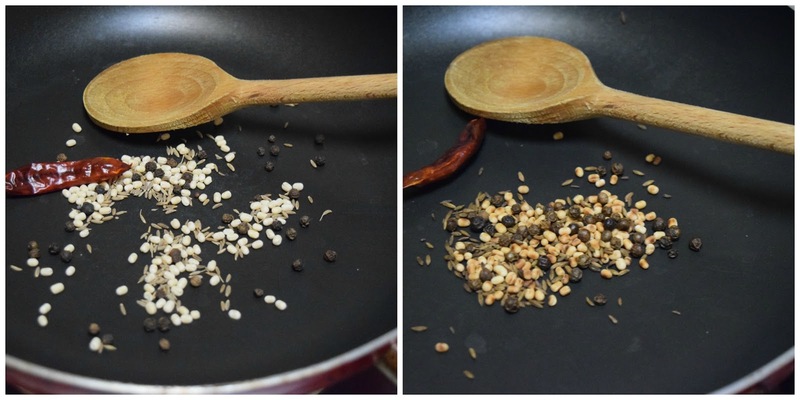 Serve as an accompaniment to any spicy gravy (kara kuzhambu / vatha Kulambu) with rice or eat it with rice along with a dollop of ghee.